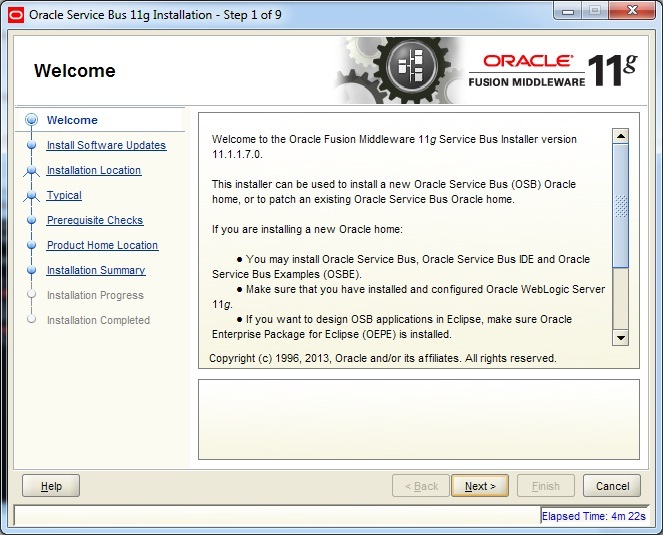 Here I am discussing Installation of Oracle Service Bus 11g, in windows 32 bit machine. 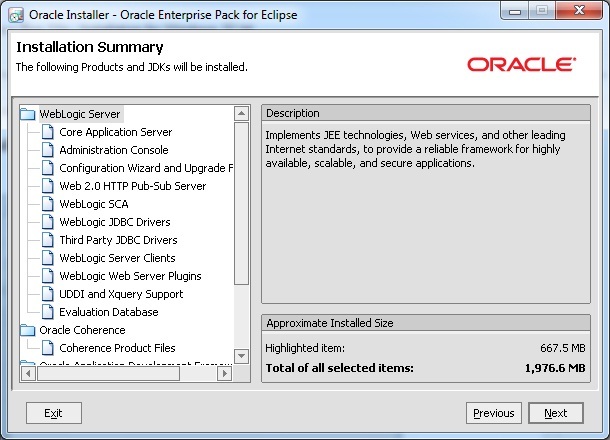 First quesstion comes to mind is, What all do we need ? 4. 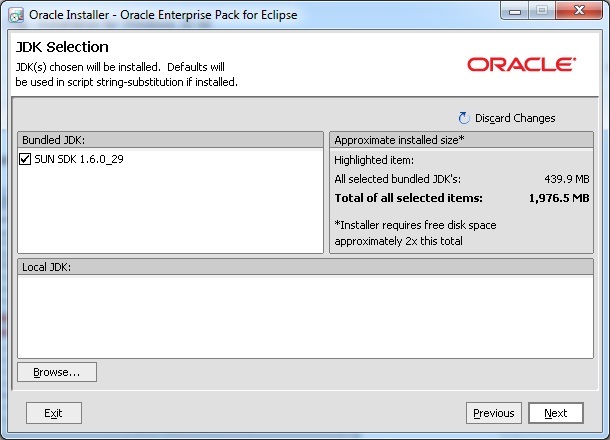 500 MB or More SWAP and TEMP space. 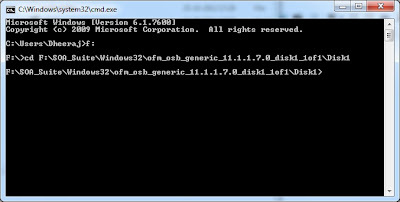 Download and Extract these files into a directory. 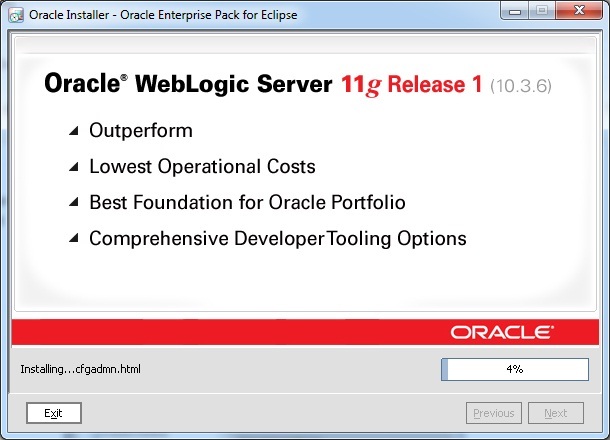 Now, First of all we need to install Weblogic server 11g. 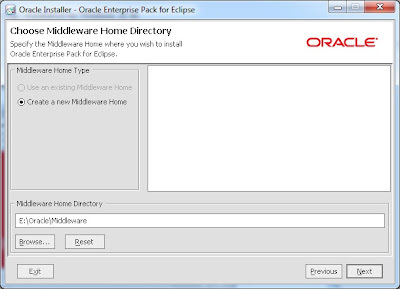 Step 1: Now start the weblogic installer by double clicking on it. 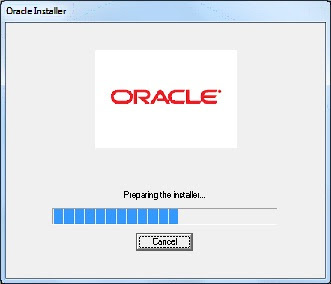 Since setup is large, keep patience, it will take some time to start. 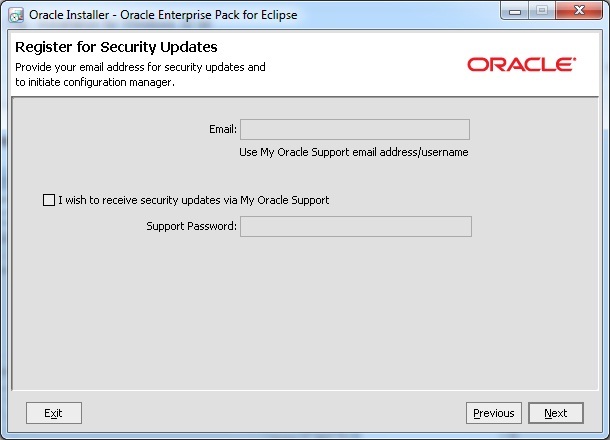 Deselect security update if installing for learning purposes, or provide oracle support password if you have purchased the oracle support.. Choose Server Example, if you are installing for learning purpose. 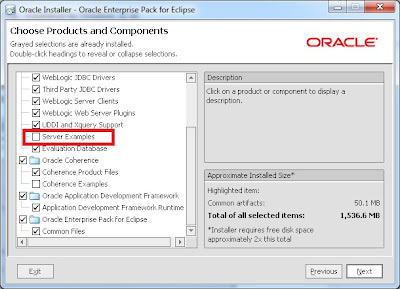 Else leave the default values. 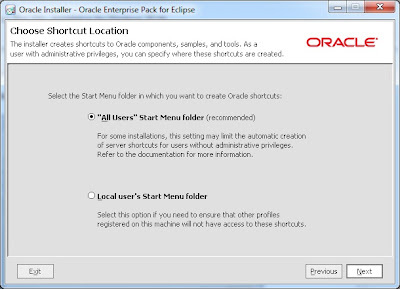 Leave Default for this Page. 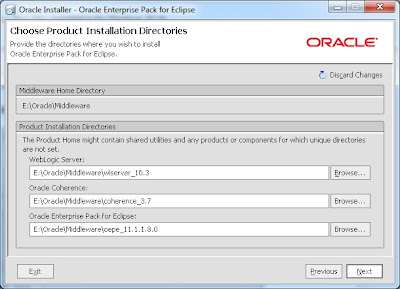 Review the Installation Directories, Make a note of these. 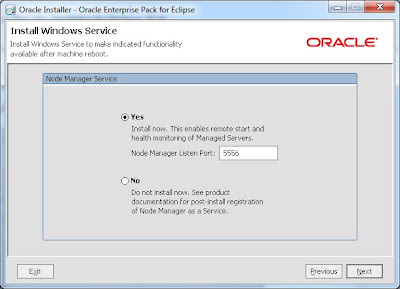 Click on Yes, to install Node Manager. 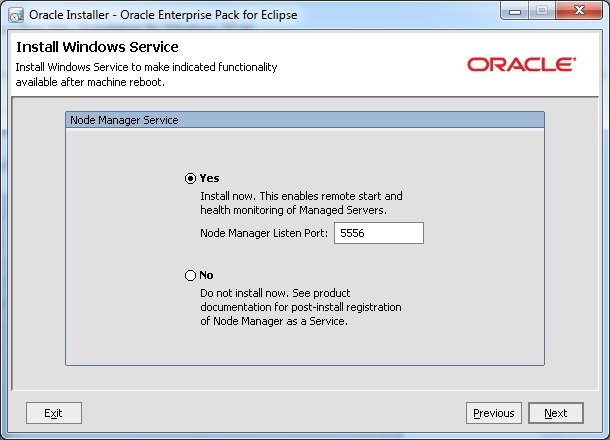 It will help in Remote start and Stop and health monitoring of Managed servers. 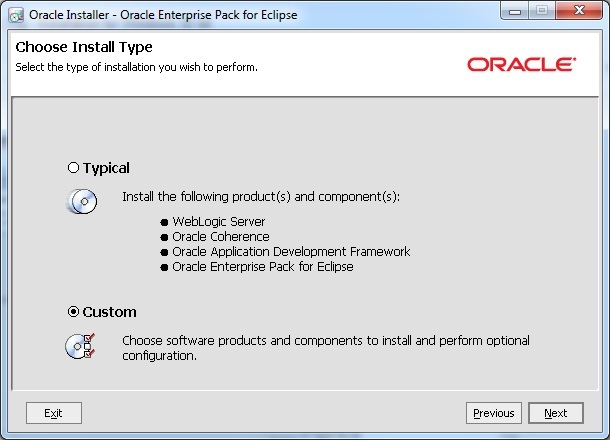 Choose the users here as per your requirement. 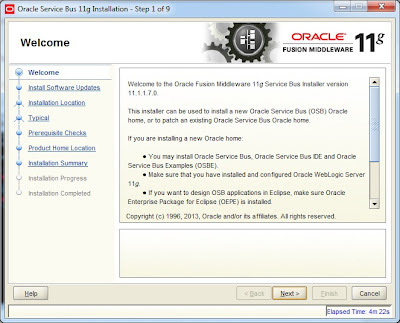 Review the Installtion summary here. 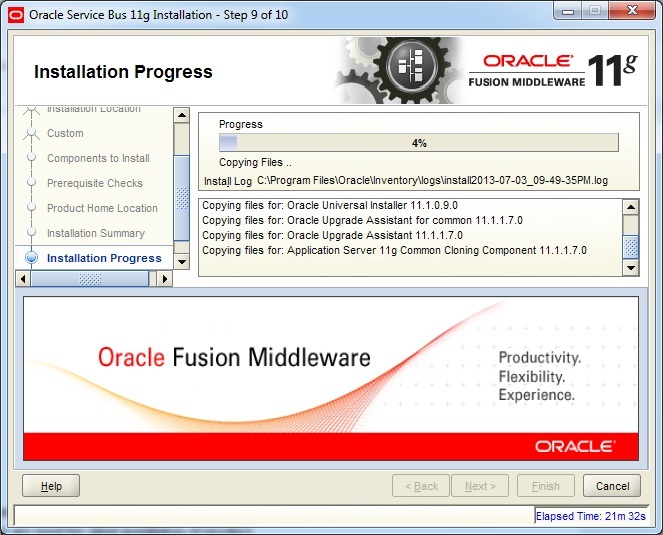 Installation will begin, and you can see the progress in terms of percentage. Deselect Run Quickstart. 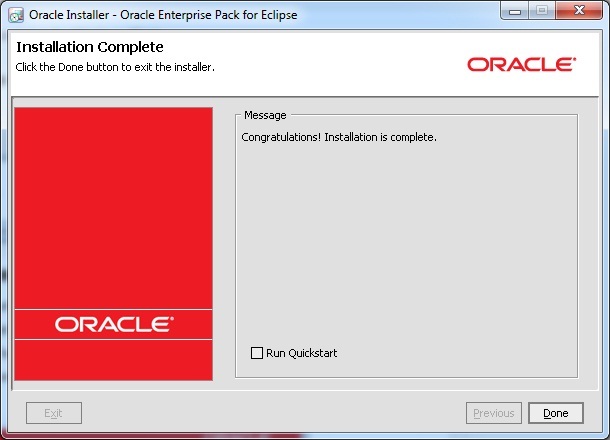 Then Click on Done. Now we have to install OSB 11g. Go to the Directory where you have Extracted the OSB setup. 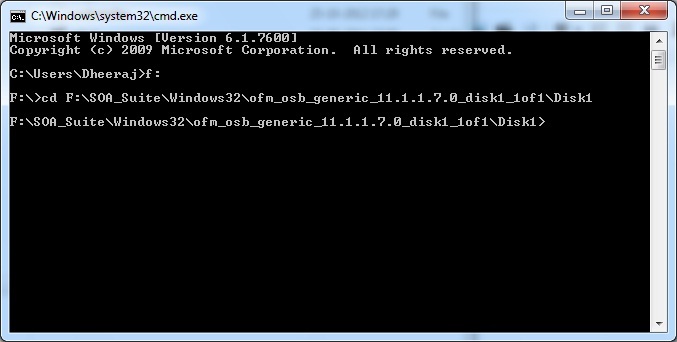 it will be something like - "ofm_osb_generic_11.1.1.7.0_disk1_1of1"
Copy the Path of setup.exe file. 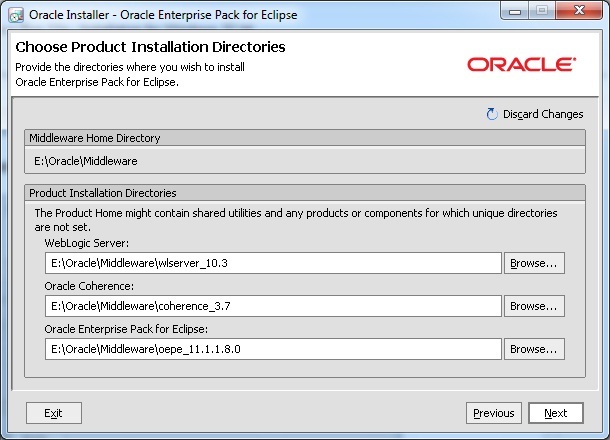 Where "E:\Oracle\Middleware\jdk160_29\jre" is the path of JRE installed with the Weblogic, which we have done in step 1. Click on 'skip software update'. 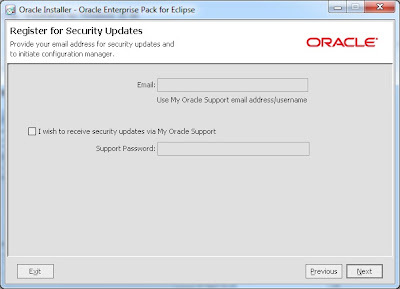 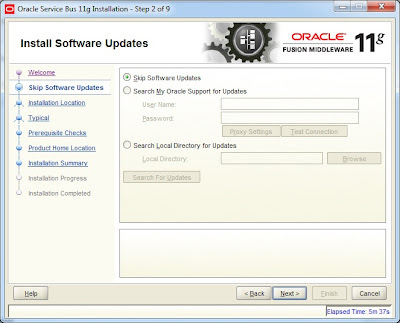 If you have purchased the Oracle licences then provide username and password to search for update. 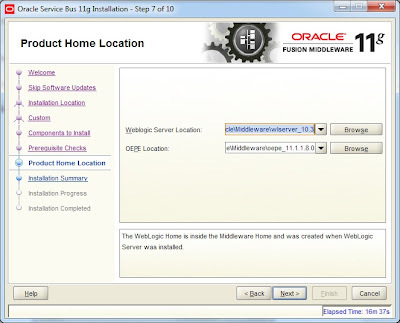 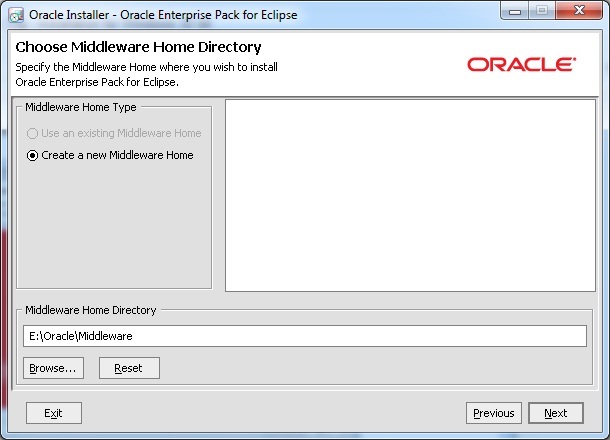 Now browse The Middleware Home directory, which was created in step 1, while installing Weblogic server. 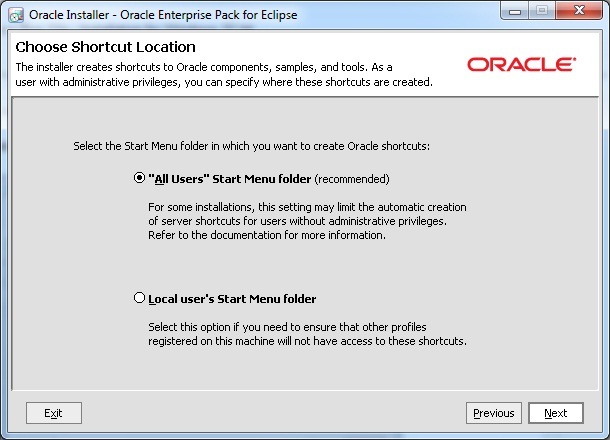 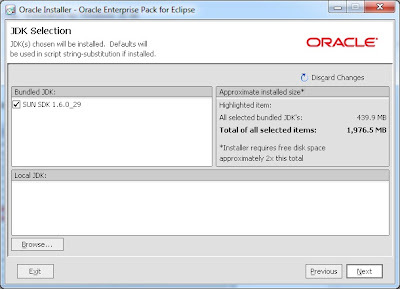 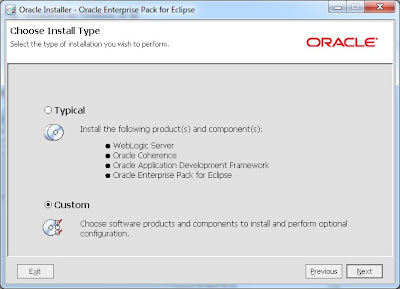 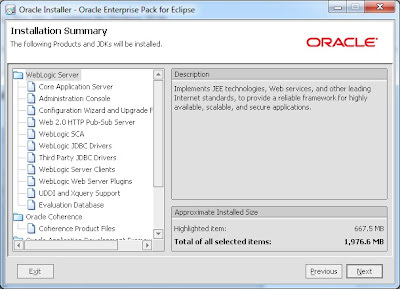 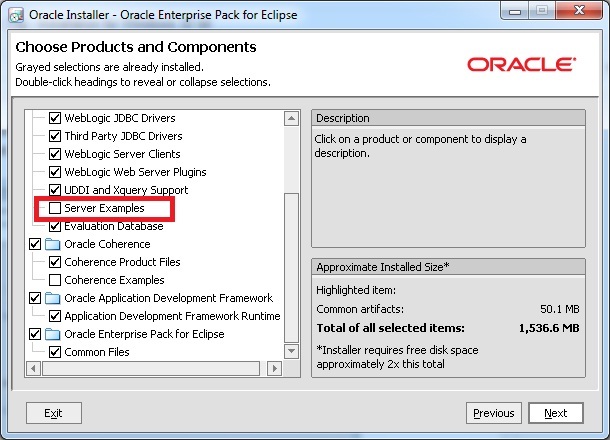 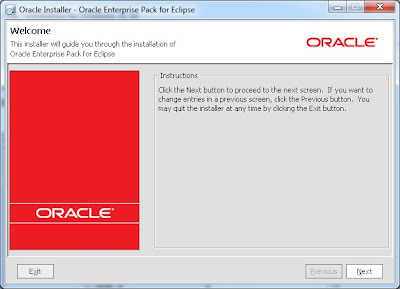 Select 'Oracle service bus IDE' to use the OEPE(Eclipse IDE for developement). Select 'Oracle service bus example' if you are a new learner of OSB. 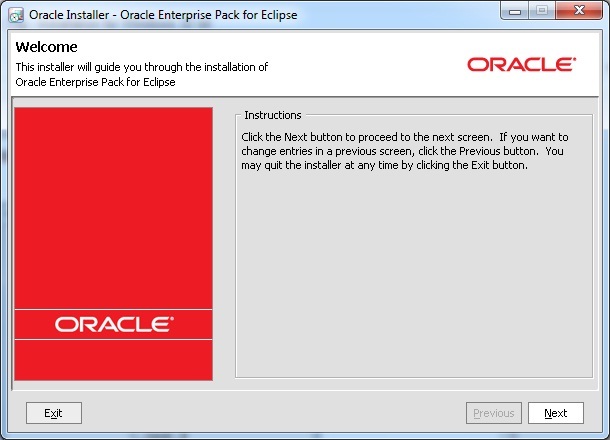 Setup will check some prerequisites here. Browse the path for Weblogic server and OEPE, which we have installed in step 1.
Review the Summary of installation here. You can also save the response file here. The response file are used for silent installation of product. 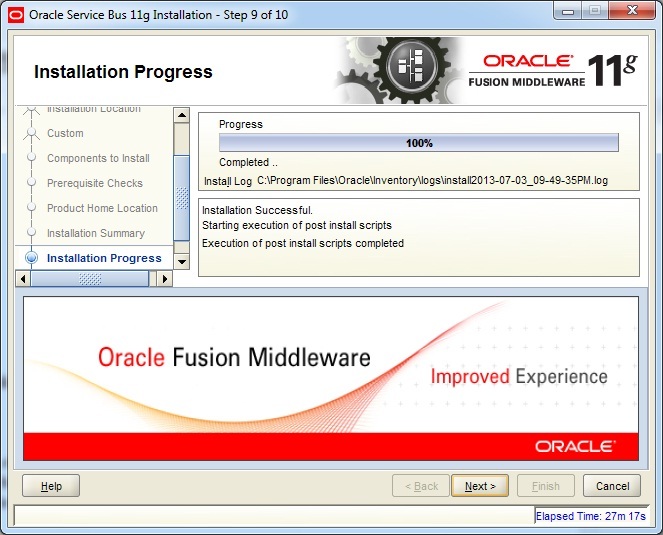 The Installation of Oracle Service Bus is Finished. In order to use the OSB, you will need to configure the OSB Domain.